Page 4 : Backlightweb (Deltablue ltd) CCFL, backlights, bulbs, and special order special shaped bulbs!, shipped worldwide, Nothing custom is to much work for us. 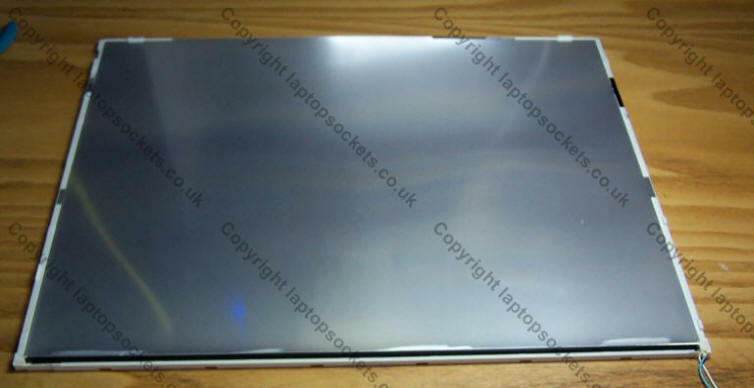 Laptop Screens usually have a metal reflector , but not as often as the larger screens. 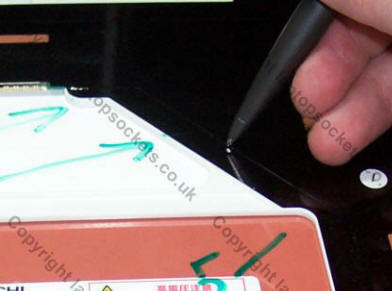 Stressing at the sealed ends, although invisible from outside, may produce damage to the seals and result in a slow leakage. This destroys the vacuum state inside and makes the lamp useless. Do not wind the wire ends at the joint ends. 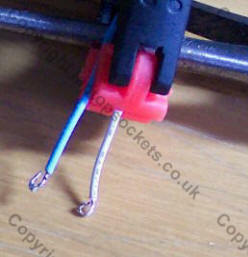 If necessary, please fix the wire before winding it at a position 10 mm or more from the ends. 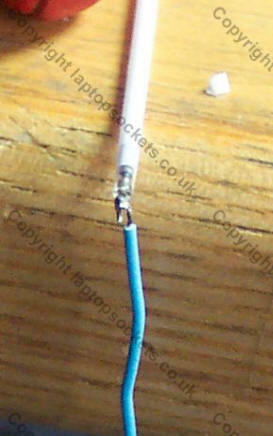 Soldering position: >2-3 mm from the location where the wire comes out of the tube. 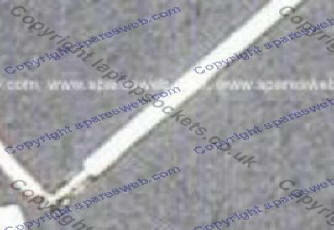 TX41D56VC1CAA, backlight, ccfl, bulb, tube, fitting, guide, instructions. 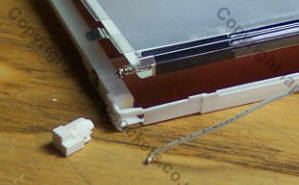 specifically on the Sony pcg-8a7m, but applies to all of these lcd's, and a guide to many more. Warning doing these is scary, so be careful and watch my warnings if you do you will be ok. Right Firstly, I am going to do this in simple stages, like teaching babies, so forgive me for being patronising, it is the only way to make sure there are no mistakes. 1. And it is important. Clean an adequate and well lit flat surface at an easy working height, make sure there are no little lumps, or bumps as you may damage your lcd face. 2. 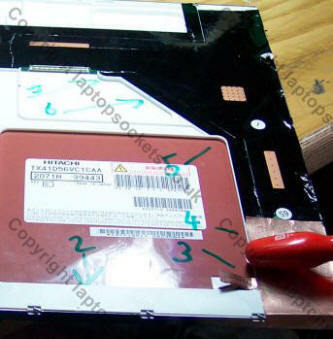 If this is a Sony with a solid state inverter in the coil, any tiny pressure on the inverter will break the coil, and your coil will not work, so your inverter wont work and your backlight wont either, it is not to break two or three of these inverters when installing one of these lcd's with the careless. 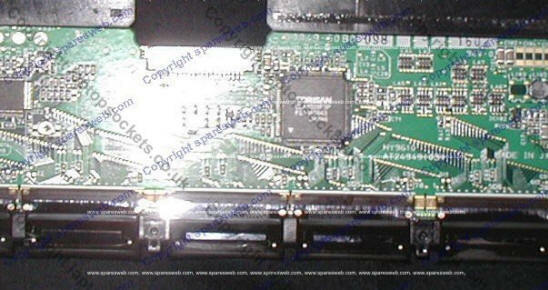 picture of the offending inverters below. 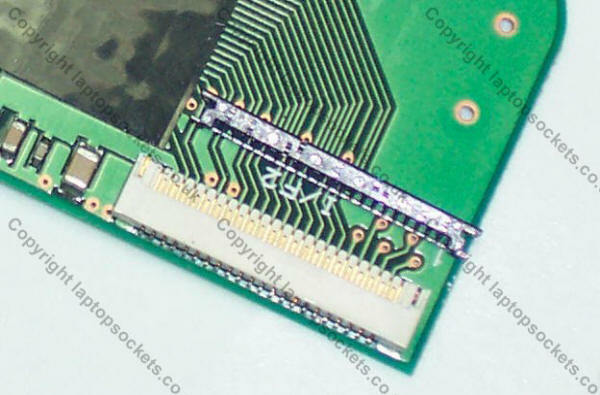 The solid state coil is the long thing on the right, just before the ccfl connector. This is so fragile it is unbelievable, the tiniest pressure will break it & you probably will not notice, but it will stop working. 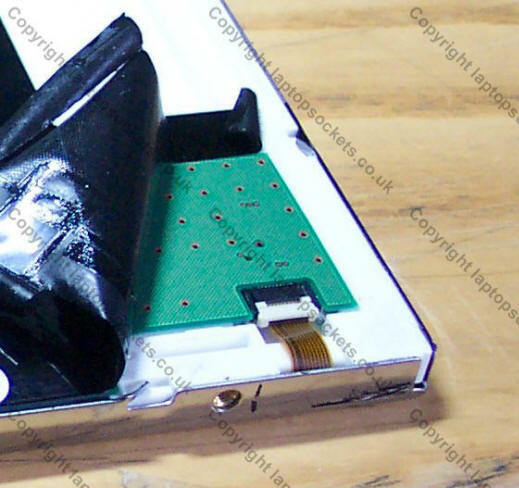 You may need another before you finish, these are glued in on most Sony's, so removing them by leavening them off is not an option, your only bet (50 50 at best) is to pull it out of the end of the plastic cover without any torque or bending force. Make sure you clean your hands properly to, you don't want your finger marks on anything that affects the light, or you will have a smudge or dark spot. You have a few pieces of tape to loosen. 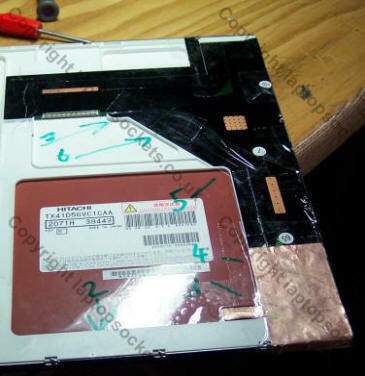 NOTE: you may be tempted to do a full dismantle, don't do that with this lcd you will never get it back together working, only go as far as you need as shown. Then using the other fingers to keep a minimal pressure uniformly around the tape use two as shown on the left to gently (go slow and the glue will release easily) peel the tape back. 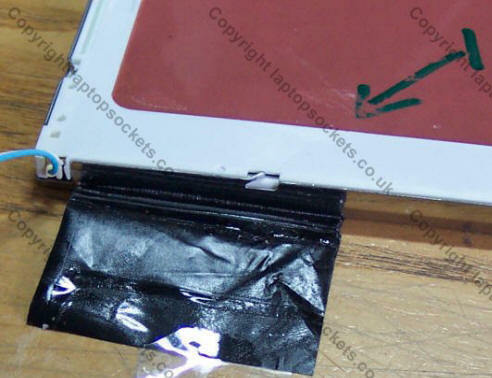 Now you see the tape peeled back and to make life easy, I have gently tacked it to the desk to keep it tidy with clear tape, and pulled the backlight cable gently to the side and taped it back safely out of the road. 3, and 4, are the Copper foil. 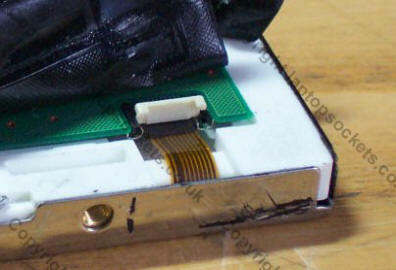 I have shown above another board on top of the tape to allow you to see what you are doing and the safe spots. 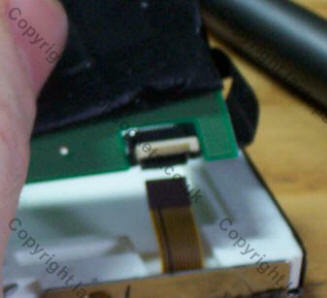 Be careful to keep pressure on the point where my finger is shown with the cable / board interface, this connector is a complete devil, once broken its broken, if you take the cable out you will never get it back in. so keep it flat and safe. 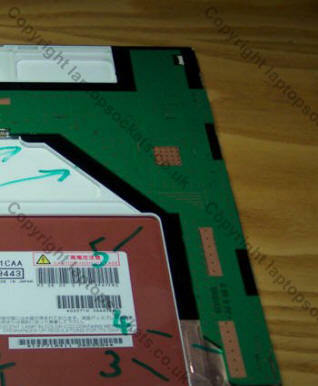 If you are not sure of the lcd, it is safer to try and remove the tape all around but on this one I can tell you where to go. 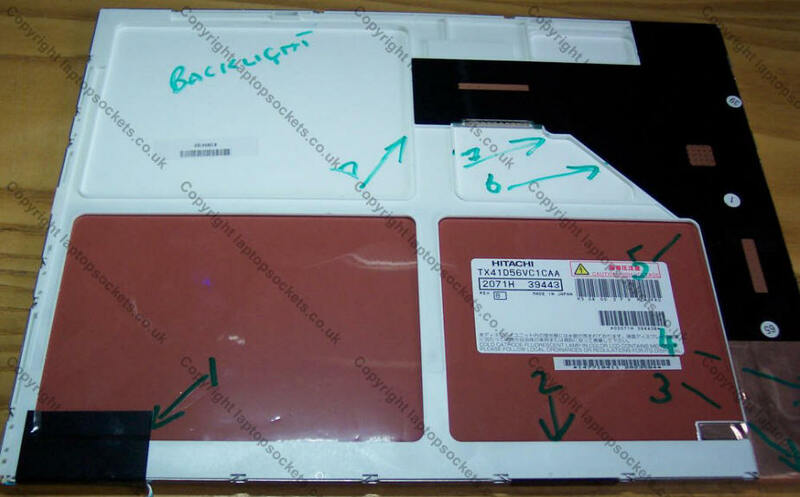 ON MOST LCD'S there will be tab bonds or other delicate tape that is important to the working of the lcd and is not removable, but in this lcd it is safe to follow me. ON ALL OTHERS remove the tape don't cut it. 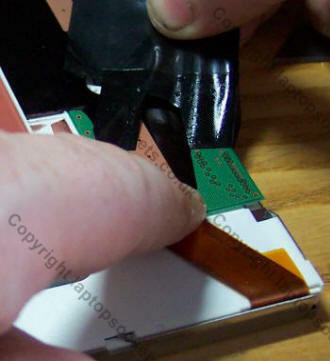 On the top right there is a little connector with a cable from the front, so here and down the right hand side peel the tape back so as not to damage the cable or the connector. 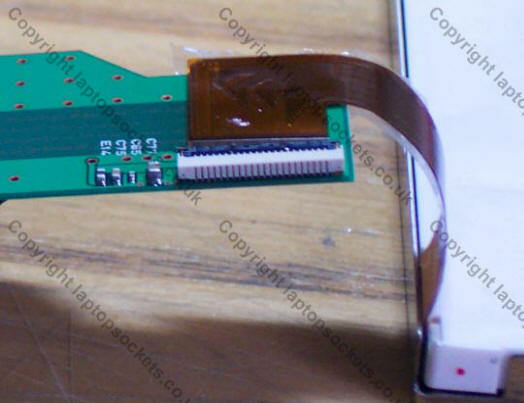 Note: where the tape was removed on the left above where the conductive ribbon connects to the underneath of the board, I have put some clear tape (a few pieces) to make sure that the cable doesn't get pulled out of the connector, that would be catastrophic on this lcd. 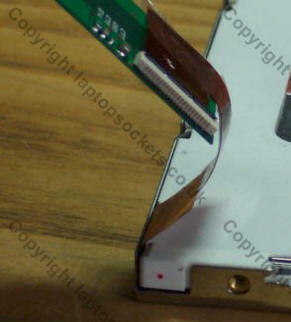 Then dot so much pull the cable away as lift the pcb back and away from the cable. 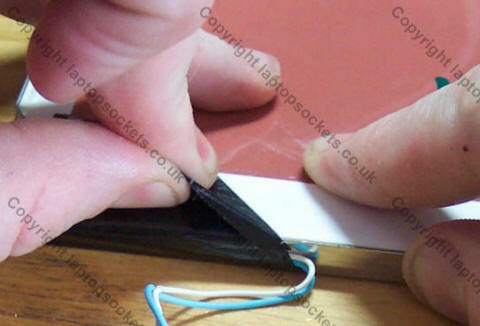 Making sure not to kink or damage, or detach the cable. 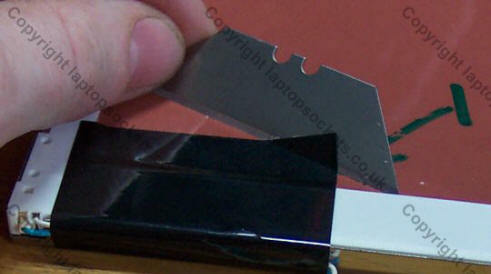 Put a little tape over this side to make sure you don't let it get detached. 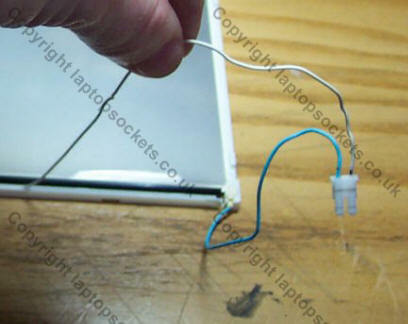 Oh, and the cable has connectors both sides as well! If you don't keep them in place you will regret it. 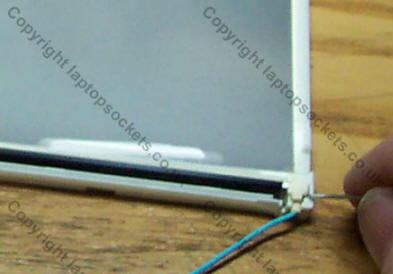 now : put the backlight assembly flat face up on your desk, making sure that none of the sheets are out of line. There are only two cables on the right pull out the white one carefully. And extract to the end. 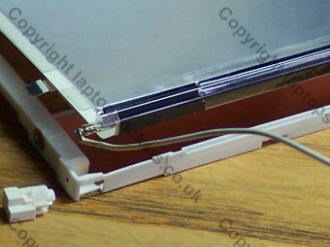 Now gently lever up the left edge using a pin, or paperclip etc. Now lever up all along the way gently, taking care not to bend the tube, (note the bits of tape to keep the layers together, not going past the first couple of mm, they wont be seen there when reassembled. Just the final assembly to do .